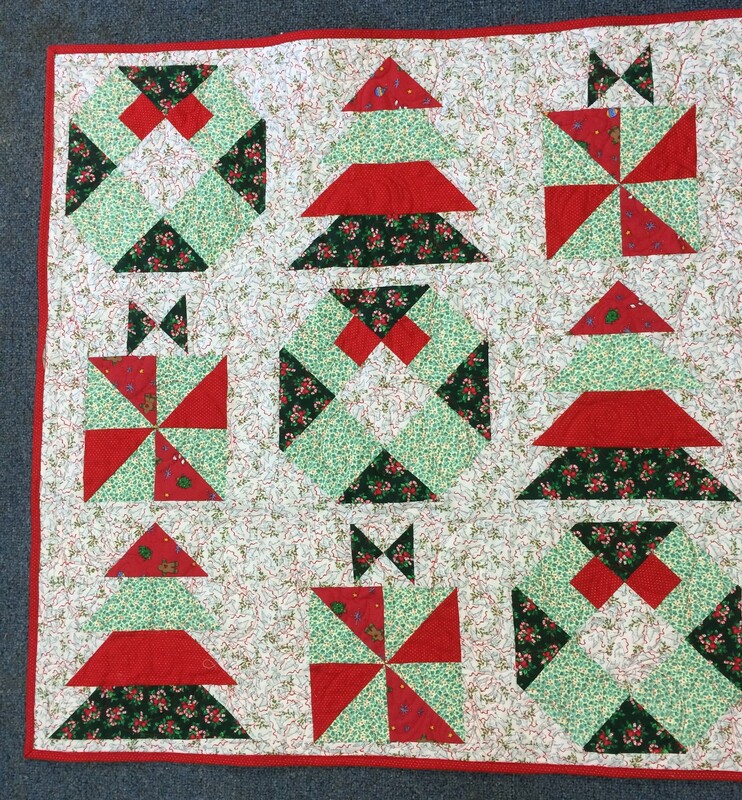 This simple little Christmas table topper is quilted and bound. At 34″ square it would be the perfect size for a tiny baby blanket as well. It’s a bit before Christmas, which gives me time to decide what to do. This is a great time to start looking at patterns that will go together quickly for the holidays. The Fat Quarter Shop has a good supply of free and simple ideas.